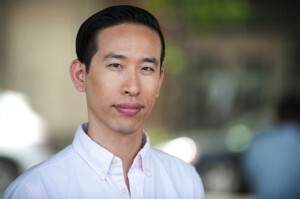 Lee-Sean Huang is the cofounder and creative director of Foossa. As a community-centered designer and social innovation strategist, he has devoted his career to fostering creative civic participation and building movements for the common good. Lee-Sean is a faculty member at the School of Visual Arts MFA Design for Social Innovation and has previously lectured and taught at the New School, New York University, Cornell Tech, the College of Staten Island, the University of California Los Angeles, and the University of Hawai’i at Mānoa. He also teaches capoeira at the New York Capoeira Center and is a founding trustee and treasurer of theAwesome Foundation New York. He holds a bachelor’s degree in Government from Harvard and a master’s from the Interactive Telecommunications Program at NYU.